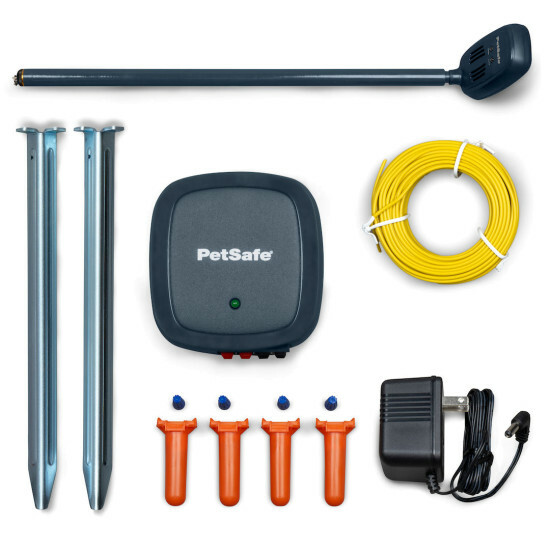 Finding a break in your pet fence boundary wire is easy with the new PetSafe® Wire Break Locator. This wire break detector helps accurately locate full wire breaks in any in-ground fence system. The wire break transmitter sends two unique tones down each side of your dog fence boundary wire. With the hand-held locator, you not only hear each tone sent by the wire break transmitter, but the red and green lights on the locator allow you to see which tone is being received. Wire breaks in the boundary wire are commonly found where the wire exits the house and enters the ground such as at wire splices, where the wires cross sidewalks or driveways, around landscaping and flower beds or in aerated lawns. When the wire break is located, use one of the included wire nuts and gel-filled capsules to repair the broken wire. We recommend repairing the breaks as you go around the boundary. A 25% restocking fee will be charged on all returned wire break locators. Boundary wire - 50 ft.